Alki Point forms the southern boundary of Elliot Bay, separating it from Puget Sound. It was near this location that Seattle’s first settlers arrived in 1851. It has long served as an important landmark for ships sailing to and from the port of Seattle. The local population realized early the importance of marking Alki Point to aid commerce. 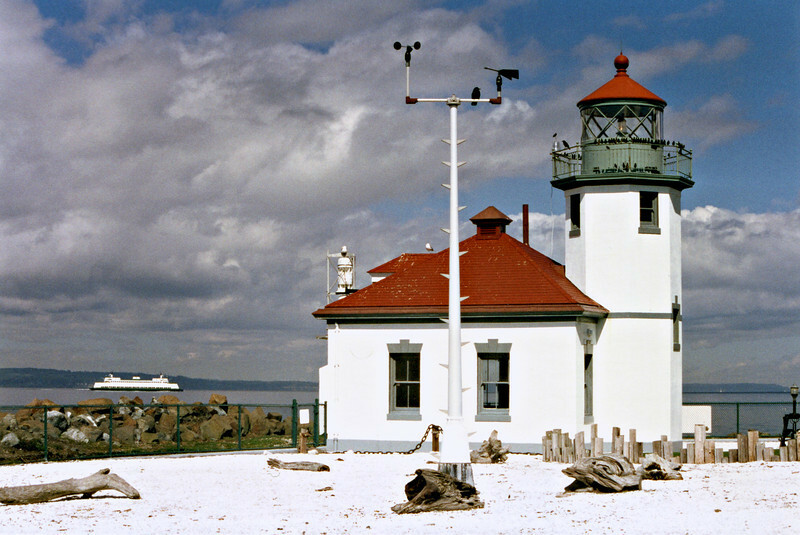 The owner of Alki Point, Hans Martin Hanson, placed and tended an oil lantern on a pole at the point as a public service beginning in 1868.